I hope all of you had a safe landing after being in Warp Space! We want to thank you for coming and making this such a fun event! Time for Lift-off — Warp Speed Ahead! Warp Speed Ahead! is the biennial conference of the Contemporary Handweavers of Texas, hosted this year in Austin by Weavers and Spinners Society of Austin. 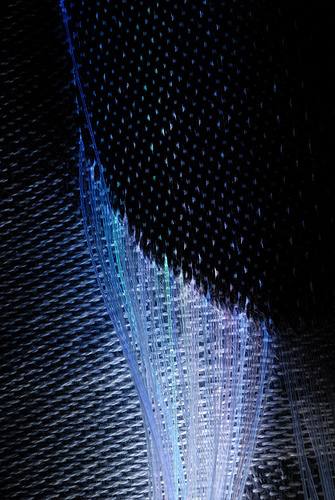 Join us as we explore weaving in all its dimensions. This will be the same talk Deb presented at the Textile Museum in Washington DC in the education series at their invitation. Her audience was Textile Museum docents and the public to help them understand and explain the tools the weaver’s used to create their exquisite cloth. 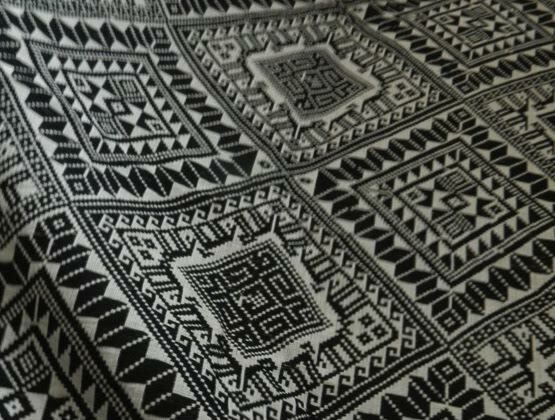 Intricate Patterns – Simple Threads, LOOMS OF SOUTHEAST ASIA – Learn about the simple looms used to create and store intricate patterns of Southeast Asia. We’ll compare looms in Laos, Thailand, Cambodia, northwest Vietnam and Burma. From village wear to the royal workshops the weavers cleverly store patterns for humble surroundings to court use in much the same way. Explore the use of equipment to create extraordinary fabrics that glow with brilliant color and intricate patterns in contemporary art applications. We’ll also look at how reeds are handmade to order and learn about making heddles by hand. Deb is teaching Saturday afternoon. We’re thrilled to welcome innovator Joanna Berzowska as our Keynote speaker on Friday night. She is Associate Professor of Design and Computation Arts at Concordia University and a member of the Hexagram Research Institute in Montreal. She is the founder and research director of XS Labs, where her team develops innovative methods and applications in electronic textiles and responsive garments. She lectures internationally about the field of electronic textiles and related social, cultural, aesthetic, and political issues. New Conference Seminar — Get your (color) Wheel out of a rut! Fearless Leader Aimee Kandl will guide participants out of their comfort zones into new territory in self-expression through color. Combining presentation, group exercises and playful watercolors, students will move through and beyond mental blocks and staid patterns. Details on the Sunday morning seminars page. 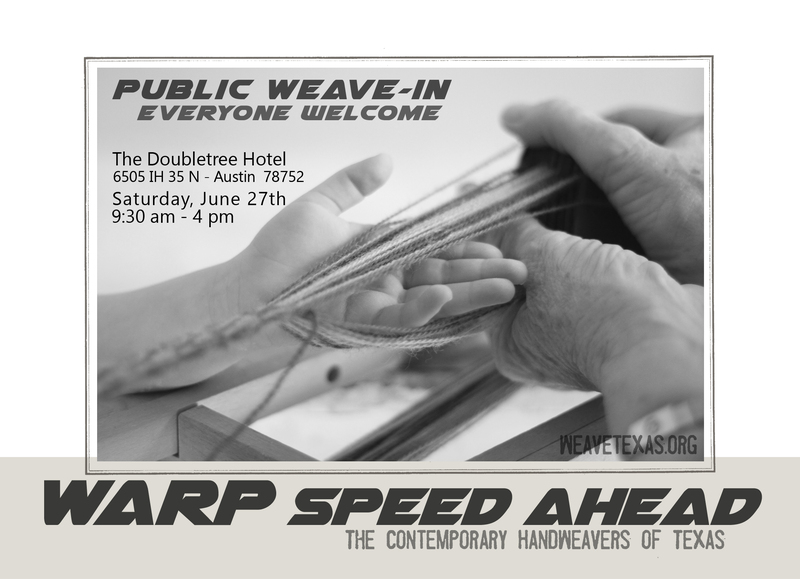 We will be hosting a Public Weave-In on Saturday, June 27th, as part of Warp Speed Ahead. You can’t miss us, we’ll be in the big common area outside the Vendors Hall and in the Austin Room. 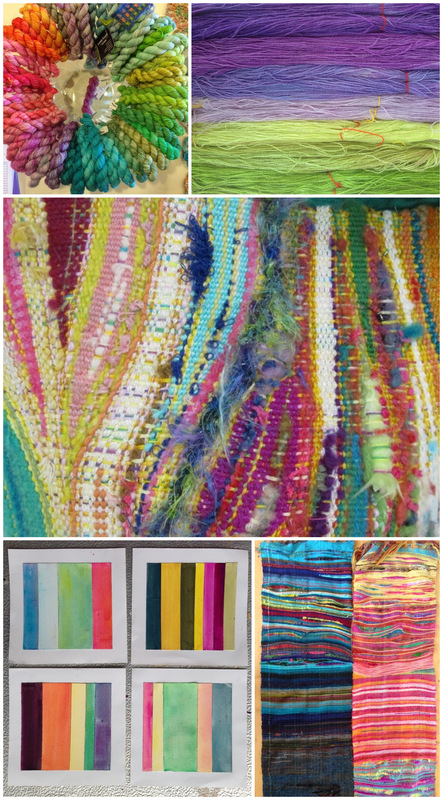 9:30 – Noon: we will be teaching art teachers about spinning and weaving in the morning. Noon – 4: The public is invited…children, parents and anyone curious to come and try out our looms and spinning wheels. Weavers and spinners are invited to come and work to their hearts content on their portable looms and spinning wheels, We will have examples of many types of weaving and spinning projects from complicated weave structures to the humble pot holder. If you are bringing your own portable loom or spinning wheel we will have tables and chairs set up for you to work at. Be prepared for your own show and tell time with the public! There is no charge for this family fun event. A vendor hall is next to our space if you are tempted to buy related items. Feel free to park in the garage. There is no charge. Last week to register without a late fee! A $25 late fee kicks in June 1st, so get your registrations in this week! There’s still room in most workshops and seminars, including the recently added and not to be missed Hand Painted Warps Pre-conference workshop with Ella Strawman. You can check which are full on our updates page, and download registration materials here. It’s going to be great conference, we can’t wait to see you in Austin. 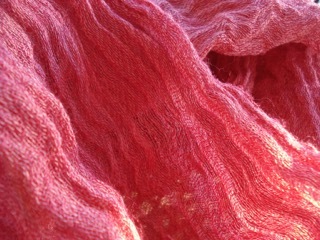 Weavers, you still have time to make that scarf to exchange at our conference. You might even want to make two and receive two in return. Your challenge is to use some of the new fibers: Raffia, Film, Ciniglione, Horsehair, Paper loops, Tropico, Hemp, Bamboo, etc. conference. Or you may mail it after June 18, the week before the conference. There will be a display table to show off our creative works. Free parking in the garage! Don't know your way around Austin? Have no fear! We have a map for you here. DoubleTree by Hilton, 6505 Interstate Highway-35N, Austin, Texas. Don't forget that parking in the garage is FREE! 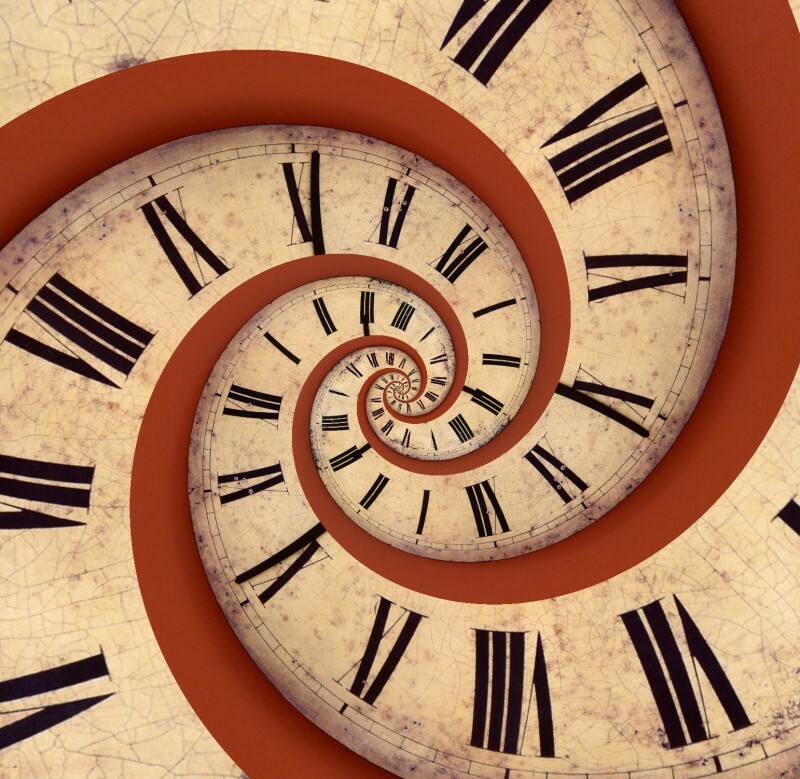 Exhibit and Fashion Show Deadline Extended! So you want to take a rigid heddle class? New Class Added: Plain weave isn’t plain! 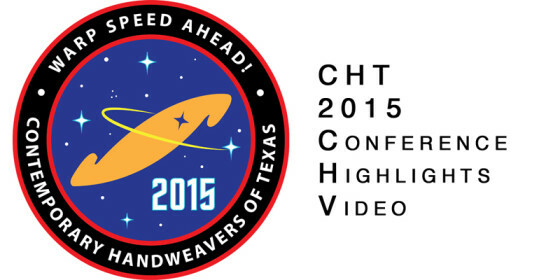 use #CHT2015 to share pictures of the conference!